When starting your own business, it can be hard to draw the line between work and your personal life. You have a passion for what you do and are constantly making sacrifices to see it succeed. It’s often said that entrepreneurs live and breathe their business, which pushes life’s other responsibilities off to the side--like time spent with your family, friends, and even time with just yourself. The go-go-go lifestyle of a busy entrepreneur is often fueled by adrenaline, but after some time, can easily lead to burnout. This is seen time and time again among business owners, especially in today’s world where technology makes it nearly impossible to unplug! If you’re a busy entrepreneur or even someone who just has a hard time turning off work mode and taking time for yourself, this post is for you! Here are some simple yet effective ways to take a step back and practice self-care. In the business world, it’s often said to follow the ‘rule of one.’ Essentially, this means to do one thing to your full capability before moving to the next. As an innovative thinker, this can be a challenge. While you might have a million ideas running through your mind throughout the day, try to remember that it’s much more satisfying and beneficial to finish what you started before moving to the next big project. For example, maybe your goal for the year was to grow your Instagram following by 30%. Instead of turning your focus to something else 6 months in, remember what you committed to and the time frame you gave yourself. Once this goal is completed, you can move to the next without feeling overwhelmed! The key here is to set SMART goals--ones that are specific, measurable, attainable, realistic, and timely. When you set SMART goals and give them your full focus, you’re unstoppable! Plus, setting yourself up for success will lead to a happier, more fulfilled life. While it’s good to be motivated, it can be dangerous when you feel guilty taking time for yourself. Your health is more important than your business (yes, we said it), and while sacrificing it might temporarily lead to success, it will lead to burnout and disappointment in the long run.When you take care of yourself first, the time you dedicate to your business is so much more productive and inspiring! So, next time you’re beating up on yourself for not finishing what you wanted to or needing to step away for a bit, take your thoughts captive. This negativity does nothing but bring you down! The best thing you can do is acknowledge the fact that you’re human and remember that your best is all you can do. As an entrepreneur, it's so important to have a healthy routine that works for you. Without it, you’ll never be able to establish a balance in your life. Yes, all-nighters will come and are sometimes worth it, but learn to find the balance between being committed and being a workaholic. When forming a routine, think about the things bring you joy. Is it going for a run? Walking your dog? Doing fun DIYs? Spending some time outside to get some vitamin D? Try to incorporate at least one of these things into your daily routine. Not only will it give you a break from your work, but it will give you something to look forward to. In addition, it’s also so important to give your body the fuel it needs by maintaining a healthy diet. Life can get busy and sometimes you have to grab something on the go, but try to always eat as healthy as you can. While most days you might find yourself scarfing down a meal when you have a quick minute, try to sit down to enjoy your meals. This will give you a much needed break and is beneficial for your overall health! This is probably one of the most challenging concepts for business owners to learn--saying no! As an entrepreneur, you will be asked to come to meetings, hop on a quick phone call, help out with something, and give your input constantly. Oh, and it will also seem like your email inbox is never empty! If you don’t put your foot down and say no to some of these things, you’ll never be able to work toward your overall goals. While keeping up with day-to-day tasks is necessary, your leadership and vision for the company are needed in other areas. So, be selective and get better at saying no. You’ll thank yourself later--trust us! If you’re worried about hurting someone’s feelings, try to not look at it as though you’re saying no. Rather, you’re offering an alternative solution! For example, maybe your company has been asked to sponsor a big event that you just can’t take on right now. When kindly declining the offer, provide the person with another business they may be able to reach out to. This will help you to keep a positive reputation in your community while also putting your business first. Build a Support Network...And Stay Connected! Being a solo entrepreneur can be lonely, especially if you work from home. Doing your own thing definitely has its perks, but with it can also bring big challenges. So, it’s important to build a strong support system and be part of a community! If you find yourself feeling sick of your home office, try switching it up and working from your local coffee shop or even at a co-working space. Co-working spaces are great because you can get a lot done and have the opportunity to network with like-minded professionals! It’s also important to maintain your friendships and the relationship you have with your family. While it might require planning in advance, always leave room in your schedule to grab coffee with a friend or hop on a phone call with a family member. Nobody knows you better than them, and they can listen, offer advice when needed, and support you through good and bad times. Remember that your relationships are priceless and should never be replaced by your work. Allowing the ones you love to pour into you can help you be a more well-rounded person, leading to a happier life and a more successful business! Taking little breaks here and there is great, but sometimes, you need to actually take a vacation. When you’re struggling with burnout, you might need to totally disconnect for a bit. Whether it’s just going on a day trip or heading out of town for a week, it can be so beneficial to get a change of scenery and put work aside! If this is something that’s hard for you, look at it this way: your business will suffer if you try to continue working through the burnout. Taking just a few days or however long you need to spend completely away from your business will allow you to come back refreshed, motivated, and inspired. So, craft an out of office email and schedule some time away. Know that it’s in the best interest for both you and the company! Last but not least, great business owners know how to delegate when necessary. 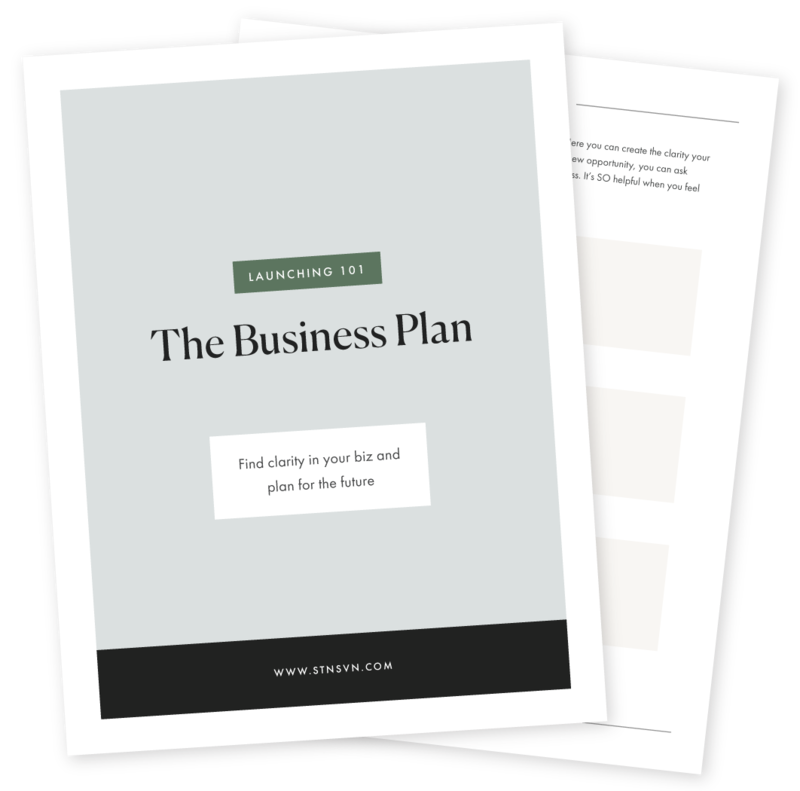 As your business grows, you won’t be able to do it all yourself. You will need to build a team that can help you to work toward achieving your overall goals! While putting your biz in someone else’s hands can be scary, if you hire the right people, you can rest at ease. In fact, adding individuals to your team can bring new ideas to the table, increase efficiency, and allow you to grow as a leader. If you have a great team, you can trust that things will go on even when you need to step away and take care of yourself. When you return, you’ll feel re-energized and ready to lead your company to success! 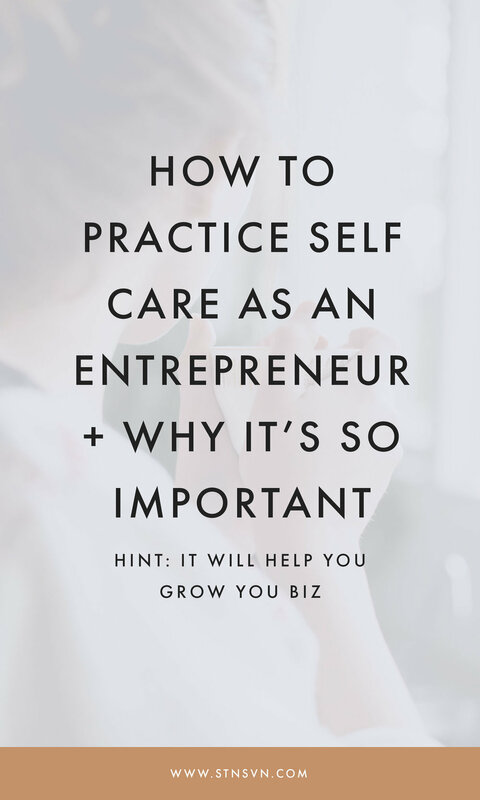 How do you make time for yourself as an entrepreneur? Let us know in the comments below!